The countdown is now officially on. The Minister for Broadband, Communications and the Digital Economy, Senator Stephen Conroy, has set a date for the first shutdown of analogue TV services. 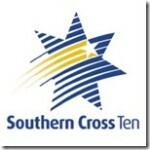 Mildura, in Victoria’s North West, will be the first region in Australia to lose analogue television when its switch-off occurs on 30 June 2010. 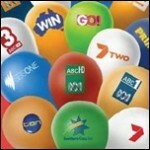 Mildura is currently served by ABC, SBS and commercial networks WIN and Prime. A digital-only channel, Ten Mildura, is operated jointly between WIN and Prime, and has also promised that it will carry the sports channel One HD from next month. WIN also carries the digital channel GO!, while Prime have so far not given any official indication of its intention to transmit the new Seven Network channel 7TWO. After Mildura, the shutdown of analogue services will then progress through the rest of Australia, with the whole country completed by 31 December 2013. 91 per cent of Australian households are aware of the Government’s intention to shutdown analogue TV services. This ranges from 95 per cent in Mildura to 88 per cent in regional Queensland. 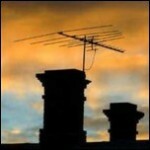 Very few households – less than one per cent – know when analogue signals will be switched off in their local region. Mildura had the highest awareness rate (19 per cent, up from 13 per cent last quarter) with most other regions ranging between zero and one per cent. 56 per cent of Australian households have now converted at least their main TV set to digital. This is up from 53 per cent last quarter. Mildura leads the rest of the country, with 79 per cent of households in that region converted to digital – followed by Tasmania (71 per cent), Darwin (70 per cent) and Perth (64 per cent). 50 per cent of Australian households are positive to the digital TV switchover, up slightly from 49 per cent in the previous survey.